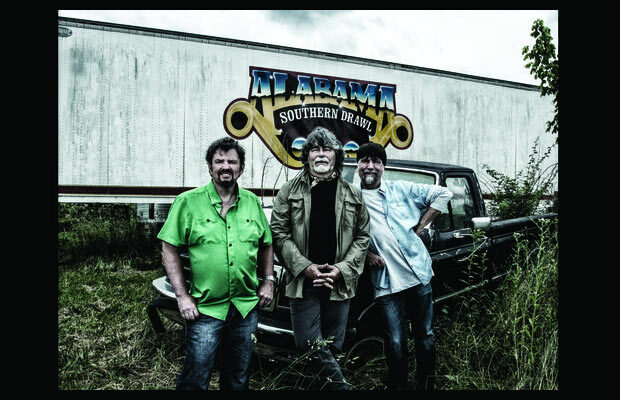 LEGENDARY GROUP ALABAMA CLAIMS THE #2 SPOT ON THE BILLBOARD TOP COUNTRY ALBUM CHART WITH SOUTHERN DRAWL! Toronto, ON (October 1st , 2015) The legendary, GRAMMY® award winning group ALABAMA made their debut at #2 on the Billboard Top Country Album Chart with SOUTHERN DRAWL . The album marks the bands first release of new studio material in over fourteen years, marking a special milestone in the trios celebrated and storied 40 plus year career. After taking a break from recording and touring for over a decade, the band was refreshed and ready to record again. With Jeff, Teddy and Randy at the helm, SOUTHERN DRAWL yielded a fresh, yet familiar sound that has resonated with longtime fans, new fans and critics alike. The album has already created a stir among music critics with early praise pouring in from Rolling Stone, USA Today, Southern Living,People, No Depression, Billboard, Country Weekly and CMT among others. To date, the band has sold over 73 Million albums and has over 21 platinum and gold certifications to their credit and has over 40 #1 hits at country radio.